Liquid for pickling and degreasing. Designed for degreasing the natural nail plate and removing the sticky layer. 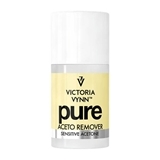 Victoria Vynn Pure Alco Remover 1000 ml Pure Creamy Hybrid Gel Polish Remover. Keep tightly closed. No acetone! The product is for professional use only. 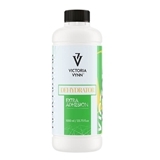 VICTORIA VYNN SALON QUALITY DEHYDRATOR EXTRA ADHESION Product for degreasing and cleaning of natural nail plate 1000 ml. Increases gel adhesion, gel, acrylic and acrylic-gel system. Flammable! The product may cause an allergic reaction. Avoid contact with skin and eyes. If product gets into eyes, rinse immediately with water and seek medical advice. Keep out of reach of children! Store in a cool place. For external use only. Protect from UV rays and direct sunlight. For professional use only. VICTORIA VYNN SALON QUALITY REMOVER SOAK OFF MANICURE Product for gel polish remover, acrylic, acrylic gel softening 1000 ml Increases gel adhesion, gel, acrylic and acrylic-gel system. Enriched with macadamia oil and vitamin E. Flammable! The product may cause an allergic reaction. Avoid contact with skin and eyes. If product gets into eyes, rinse immediately with water and seek medical advice. Keep out of reach of children! Store in a cool place. For external use only. Protect from UV rays and direct sunlight. VICRORIA VYNN BOOST BASE The base, which rebuilds, strengthens the free edge of the nail, protects and strengthens 8 ml. Two in one hybrid base and conditioner for natural nails. Rebuild and strengthen the nail structure. Intensely strengthens with a thin layer and fixes when the nail is broken. Restores nail plate between application. 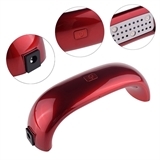 Increases hybrid manicure grip. Increases the strength of hybrid manicure and improves grip. Contains polymers (glass fibers), calcium and vitamins E, B5. BOOST BASE USED Conditioners - nail strengthening agent. Base for hybrid gel lacquers. Strengthens manicure resistance to damaged nails. INSTALLATION INSTRUCTIONS Don't love the nail plate. Do not use primer. 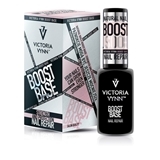 Apply 1-2 layers of BOOST BASE base and dry in UV / LED lamp. Can be used with or without the top, the first coat of hybrid gel polish can be used. Flammable! The product may cause an allergic reaction. Avoid contact with skin and eyes. If product gets into eyes, rinse immediately with water and seek medical advice. Keep out of reach of children! Store in a cool place. For external use only. Protect from UV rays and direct sunlight. For professional use only. LED 48 W – 30 sec. LED 24 W – 60 sec. UV36 W – 120 sec.